Friendships develop when individuals share life experiences. They deepen when those experiences are meaningful. Great friendships emerge from emotionally charged life activities like travel, college, enterprise, war, sports and 'being a teenager'. When you are young, you have more time to share experiences with others. This gets much tougher when you enter the more responsible phases of life. 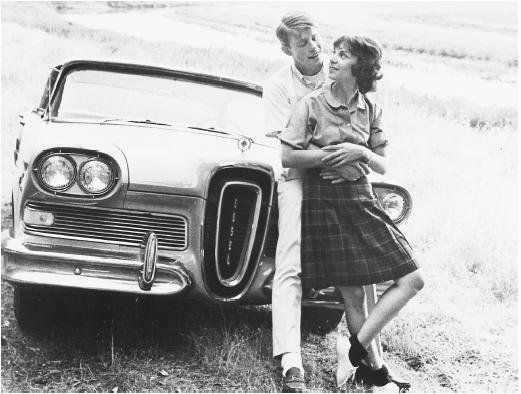 The simplicity of young friendships is well represented in the film American Graffiti, George Lucas' breakthrough film. Steve Bolander (Ron Howard) and Curt Henderson (Richard Dreyfuss) are high school grads on their last night in town before they leave to college. The film follows their separate adventures on the night before they head off to pursue post-secondary life. Steve uses the evening to lay the foundation for life's next phase. He tells his longtime girlfriend Laurie (Cindy Williams) that they should sleep with other people while apart, saying "it would strengthen our relationship." Laurie responds by offering another perspective, “It doesn’t make sense to leave home to look for home, to give up a life to find a new life, to say goodbye to friends you love just to make new friends.” Laurie's thoughts are the common logic of a person being asked to adjust to a change she did not anticipate. This logic is shared by modern-day individuals who have moved to new cities and been frustrated by trying to meet new friends. New locations are often called 'unfriendly' when friendships don't unfold as easily as they used to. The reality is that life is different when you add more responsibility to your day. When everyone is working, there is less time to share meaningful experiences with others. If you have a life partner, you're seeking two new friends who get along with both of you. Add children to the mix and the time available for developing new friendships becomes very tough to find. This leads many young couples to look longfully back to the places where friendships were most deep. One way to get more friends is to return to where old friends are. A second alternative is to join interest-related teams or groups in your new community, and be sure to actively participate in social activities at your workplace. Others wisely adjust their expectations for friendships when their life is more occupied. No matter what you choose, it is important to remember that 'you can never go back'. When you take on more responsibility and commit to it, there just isn't as much time to spend with new or old friends. We're all wise to consider Steve's advice to Curt as he encourages him to move on to life's next phases. He says, "You just can't stay seventeen forever." Right. Seventeen was great, but older is better, if we're wise enough to recognize the new realities of the more responsible lives we now lead.